Featuring Devan, who's looking cool in school. 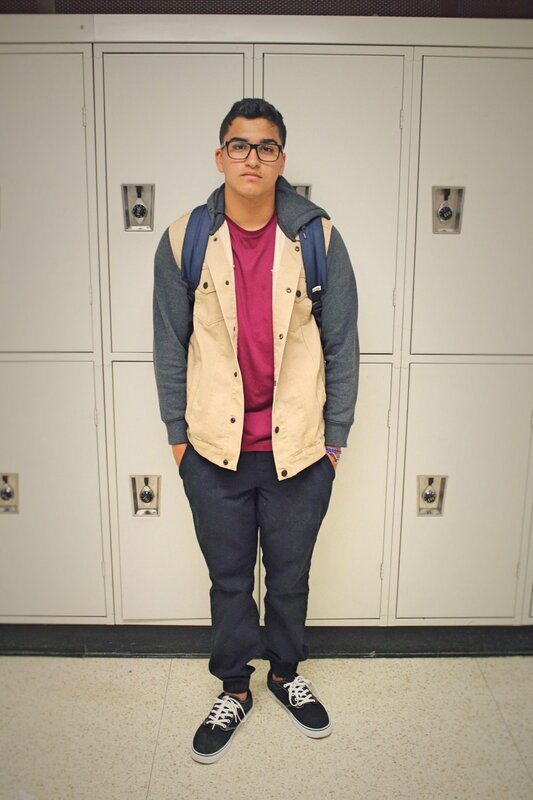 He's grateful that the fall weather calls for some of his favorite fashion picks, including hoodies and joggers. Devan does, like the rest of us, miss the time before school started. Remembering summer, he recalls long boarding down the hills of his hometown at night. It was just him, his long board, and the road without a care in the world. During these relaxing summer nights, Devan explains he felt a sense of euphoria in the vibe of the evening. I'm sure we've all felt that way during the summer once when it's just us and the quiet night. There isn't a day that goes by where we don't once recall the freedom and nonchalant attitude of that season. 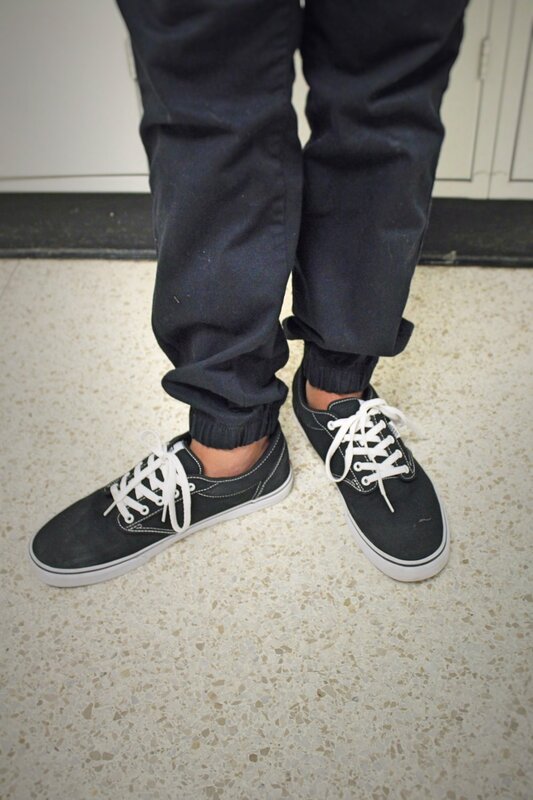 For his outfit, Devan has on a pair of black vans, a very good day-to-day type of sneaker. He's got on a men's (or even ladies') fall essential, joggers. For an added pop, he's wearing a bright red t-shirt, which is a great eye catcher. Adding a piece like that can really bring an outfit together. Finally, Devan's got on a dark beige denim vest hoodie. What he's got on today is for sure a stylish, casual set for anyone dressing for the fall season.